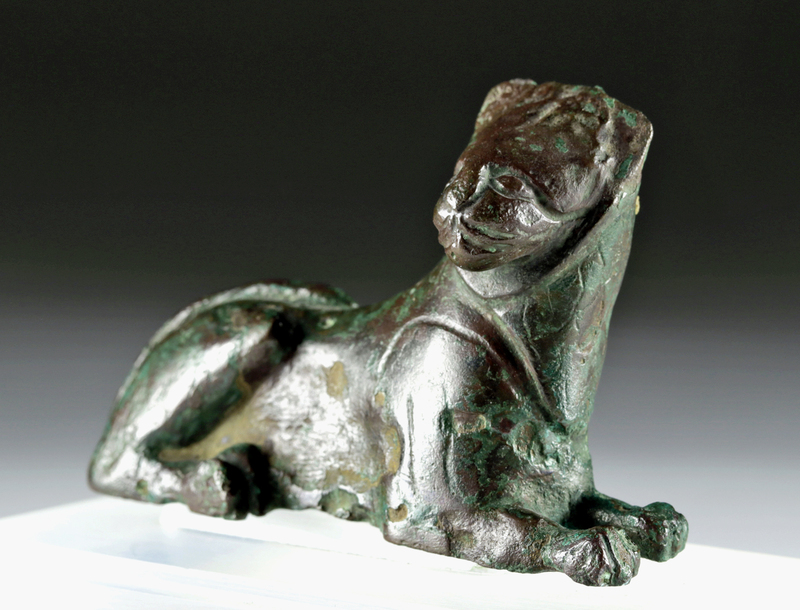 Ancient Greece, Archaic Period, ca. 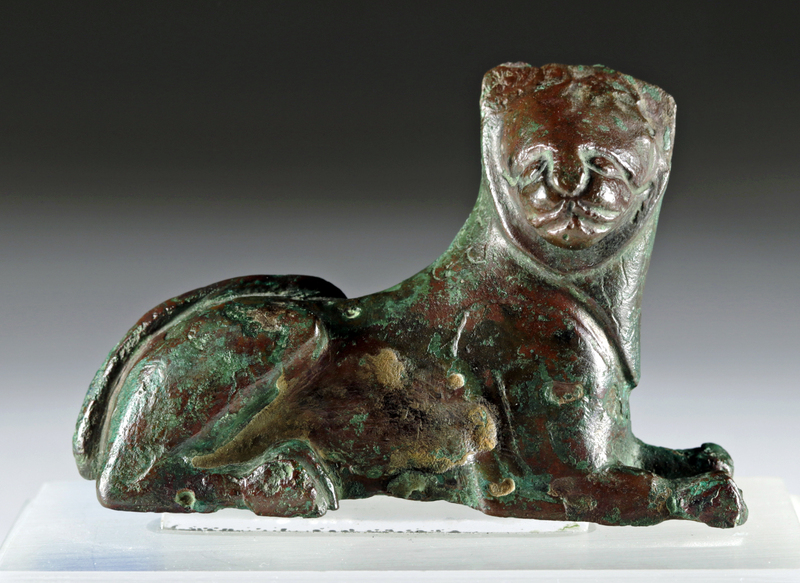 mid-6th century BCE. 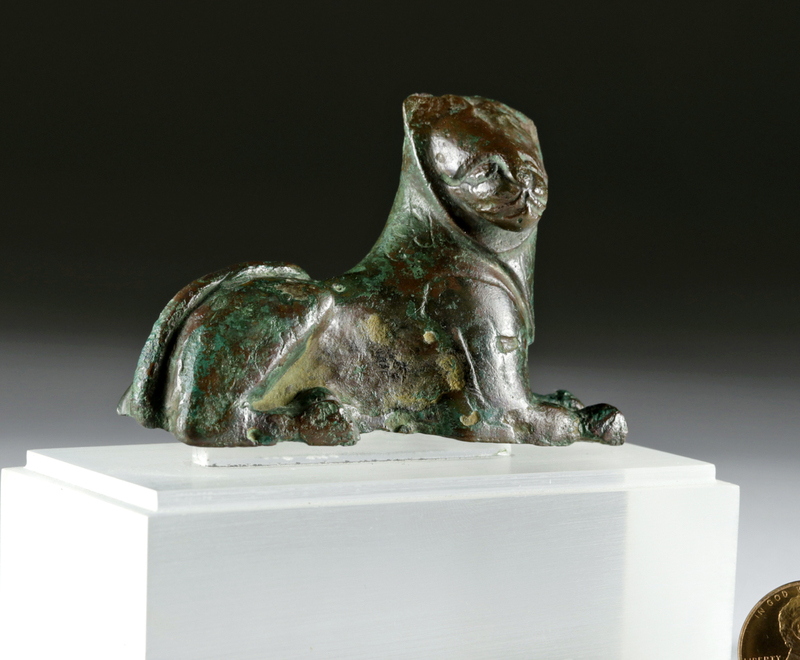 A gorgeous cast-bronze lion figurine displaying exquisite stylization characteristic of Archaic Greek artistry. 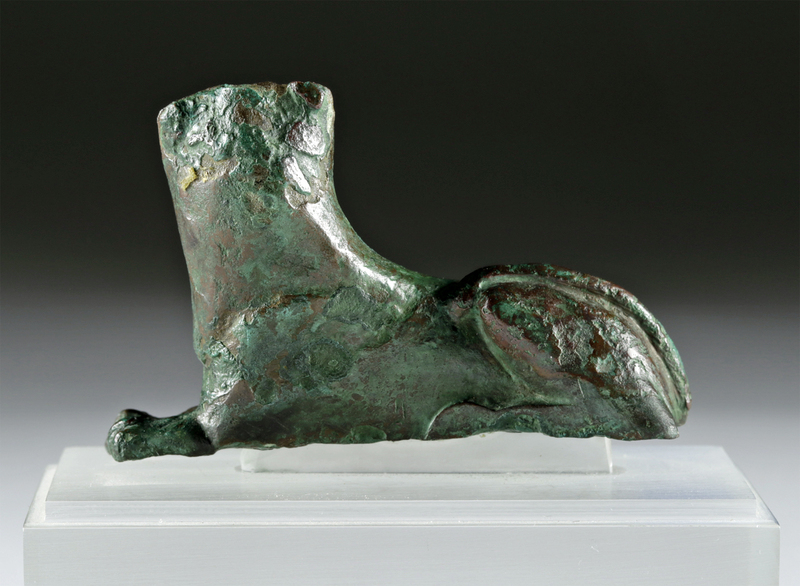 The feline lays in a recumbent position with forelegs extending from powerful shoulders, hind legs curled tightly against the side of the powerful body, and a sinuous tail curved over the haunches. The right-facing head is raised proudly and displays incised almond-shaped eyes, a flush nose atop a rounded muzzle, a thin mouth, and a rounded mane with perky ears projecting from the upper corners. Finely-incised striations denote the musculature of the front shoulders, delineate the toes on all four feet, and express the fur along the mane and tail. Modeled with a majestic presentation and a regal countenance, this is a fabulous example replete with sophisticated technique and lustrous green and russet patina. Size: 2.8" L x 1.875" H (7.1 cm x 4.8 cm); 3.125" H (7.9 cm) on included custom stand. Condition: Small chips and abrasions to body, head, and base commensurate with age, with softening to some finer details particularly around face, and light encrustations within lower casting cavity, otherwise intact and excellent. Light earthen deposits as well as great green and russet patina throughout.